The Rats in the Walls" is a story by American author H. P. Lovecraft. Narrated by the scion of the de la Poer family, who has moved from Massachusetts to his ancestral estate in England, known as Exham Priory, which had fallen into ruins. Much to the dismay of nearby residents, he restores the Priory while plainly showing ignorance of the horrific history of the place. After moving in, on several occasions, the protagonist and his cats, specifically his favorite cat, hear the eponymous rats scurrying behind the walls. Upon investigating further (and as revealed in repetitive dreams), he finds that his family had maintained an underground city for centuries; and that previous generations of his family fed on human flesh, even going so far as to raise generations of "human cattle," including some which had regressed to a quadrupedal state. In the end, the protagonist, unknowingly maddened by the revelations of his family's past and driven by the stronger force of his own heritage, attacks one of his friends in the dark of the cavernous city and begins eating him. He is subsequently subdued and locked in a mental institution. At least one other investigator, Thornton, has gone insane as well. Soon after, Exham Priory is destroyed. 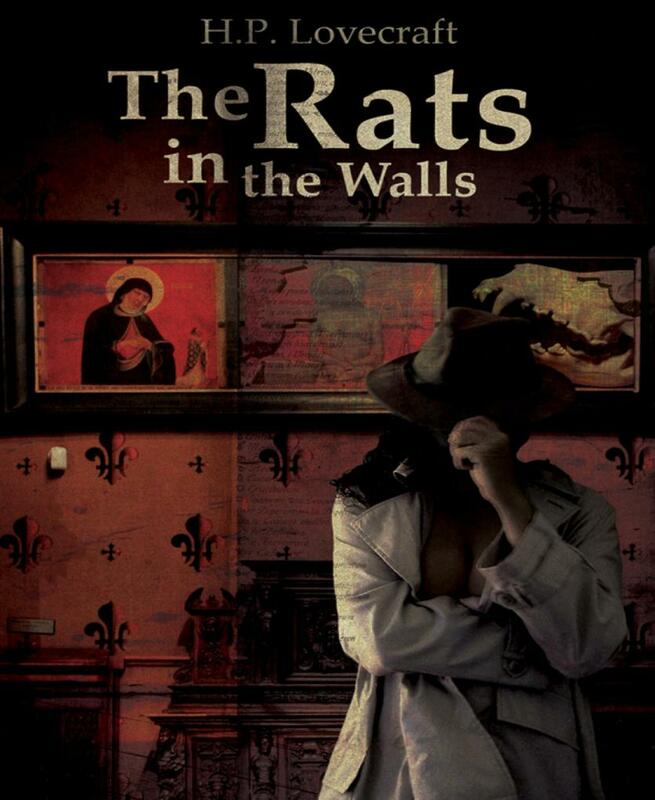 The protagonist of the story maintains his innocence, proclaiming that it was "the rats, the rats in the walls," who ate the man. The rats still persist, however, as he continues to be plagued by the sounds and sights of rats in the walls of his cell.